Flooding in Oxford, January 2007. The Flood & Water Management Act aims to provide better, more sustainable management of flood risk for people, homes and businesses, help safeguard community groups from unaffordable rises in surface water drainage charges and protect water supplies to the consumer. The Act had several drivers. It was recognised that the flood and coastal erosion risk management and reservoir safety legislation reflected outmoded approaches and organisational structures, with their roots in the 1930s and 1940s. 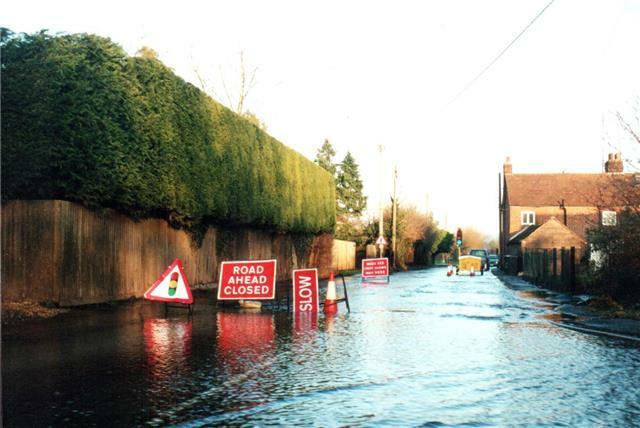 Sir Michael Pitt’s Review of the summer 2007 floods identified clear gaps in the way that flood risk is managed, particularly in relation to surface water and groundwater flooding and on the need for a more risk-based approach to reservoir safety. There is also a need to adapt to climate change which is predicted to increase flood and coastal erosion risks through rising sea levels, changing patterns of rainfall, flood flows in rivers and groundwater levels. The Act was meant to address the requirement to transpose the EU Floods Directive in to law in England & Wales. However, as the deadline for transposition was not going to be met, this was achieved through The Flood Risk Regulations 2009. It is proposed to consolidate these regulations with the relevant provisions from the Flood and Water Management Act and appropriate existing legislation as soon as possible to create a single coherent set of provisions dealing with flood risk assessment and management. Note, significant changes were made to the Flood and Water Management Act as a result of the consultation exercise which was undertaken earlier in 2009.
responsibility for flood warning for all forms of flood risk. There are significant challenges here in relation to groundwater flood risk management, including building the understanding of flooding mechanisms, developing the management tools and addressing flood warning. The Act ensures that, for the first time, one body is accountable for the delivery of coordinated local flood risk management so as to minimise the risk of a repeat of the floods in Summer 2007. 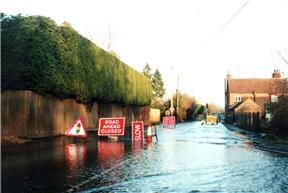 Local flood risk covers flooding from an ordinary watercourse, surface runoff and groundwater. This local management role is given to County and unitary local authorities (LAs) which lead and are accountable for ensuring effective management of these local flood risks. The LAs in turn rely on information from other public and private bodies, such as Internal Drainage Boards, water companies and emergency services, which have a duty to co-operate and share information. The LAs have powers to do works for surface run-off and groundwater flood risk and also to maintain or restore natural processes and manage water levels in relation to these sources of flood risk. These are identified and managed as part of locally agreed work programmes. The Act creates new Regional Flood and Coastal Committees which provide democratic input into local decisions and help coordinate flood and coastal erosion risk management. The EU Floods Directive came into force in November 2008. It followed major flooding across Europe in recent years. Member States were required to transpose the requirements of the Directive into UK law by November 2009. As explained above, as the provisions of the Flood and Water Management Act did not meet the deadline for transposition, the requirements of the Directive were met by the Flood Risk Regulations 2009. The EC Floods Directive was brought into force in Scotland through the Flood Risk Management (Scotland) Act 2009 and in Northern Ireland through The Water Environment (Floods Directive) Regulations (Northern Ireland) 2009.
co-ordination of flood risk management with the Water Framework Directive. In England & Wales, LAs are responsible for preparing PFRAs for ordinary watercourses, surface run-off and groundwater flood risk. Areas of significant risk should also be identified by the LAs, with EA support, however, to ensure consistency, prioritise investment and minimise the impact of a dispute, there should be external involvement in the final selection of significant risk areas. The Floods Directive provides some flexibility in determining which flooding scenarios need to be mapped. For example, it states that where groundwater flooding is the only risk, mapping may be limited to low probability scenarios. There are several types of flood risk management plan already produced or in development, which would meet the purposes of the Directive to decrease the likelihood or impact of future flooding. These will need to be co-ordinated to ensure that measures and objectives set are consistent; the EA in its strategic overview role should perform this task. LAs will be required to develop strategies for local flood risk management. The need to improve the management of groundwater flood risk in the UK was identified through Defra’s Making Space for Water strategy. 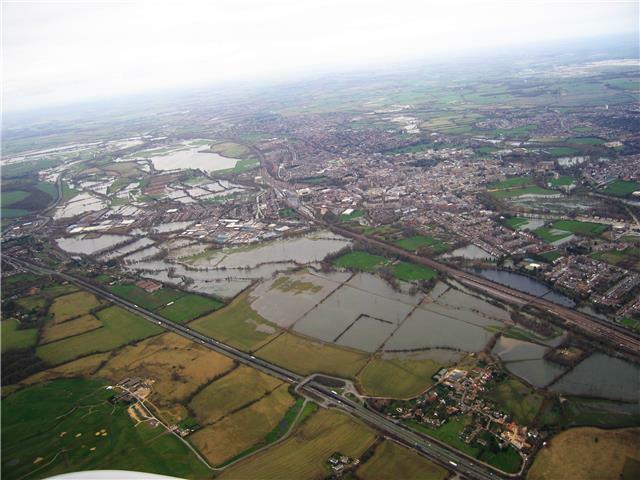 The review of the July 2007 floods undertaken by Sir Michael Pitt also highlighted that at the time no organisation had responsibility for groundwater flooding. These drivers, and the inclusion of groundwater flood risk management within the EU Floods Directive, have meant that the Act has a significant component which addresses groundwater flooding. the County and unitary local authorities (LAs) have responsibility for addressing groundwater flooding risk locally. They will be responsible for undertaking preliminary local flood risk assessments including groundwater, for assessing where these risks are significant, for mapping the associated risk where relevant and for developing local flood risk management plans, as required by the EU Floods Directive. the EA will support the LAs in their responsibilities relating to local flood risk management.